Michael received his graduate qualification at the Auckland School of Physiotherapy, New Zealand, in 1980. He worked in public hospitals in the medical, surgical, paediatrics, orthopaedics, geriatrics, intensive care and burns areas around New Zealand before being employed in private practices, treating spinal and sports injuries in Nelson with Michael Monaghan and Auckland with Margaret Franklin. In 1985 he moved to Adelaide, Australia, working at the Royal Adelaide Hospital and private practices around Adelaide. He completed a Graduate Diploma in Advanced Manipulative Therapy in 1989 and converted this to a Masters degree at the University of South Australia in 1993. He was awarded a Fellow of the Australian College of Physiotherapists (Australian Physiotherapy Association) for his monograph and international best-seller text book, Clinical Neurodynamics, Elsevier, Oxford, 2005. In addition to his neurodynamics book, he has published two other books, Moving in on Pain (Elsevier) and Biomechanics of the Nervous System: Breig Revisited. He also authored, co-authored and mentored numerous research studies, editorials, commentaries and clinical papers in international peer reviewed journals articles which have garnered many international awards, including Visiting Professor of the Faculty of Medicine, Barcelo University, Buenos Aires (see academic activities on ResearchGate). He was a member of the International Advisory Board of the journal Musculoskeletal Theory and Practice (formerly Manual Therapy), United Kingdom and is an Associate Editor of the Journal of Manual and Manipulative Therapy, USA. Michael presents keynote addresses and invited conference lectures, trains staff at elite sports medicine facilities and sports clubs, universities, hospitals and private seminars around the world. His special interests are neurodynamics, measurement of mechanical function of the nervous system, pain and the nervous system and musculoskeletal function. His most valued interest is how to synthesise science and clinical practice using evidence and reasoning. 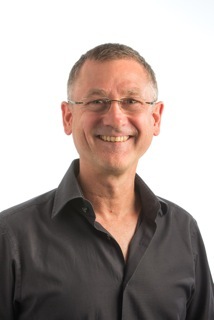 Michael is an active clinician, has 35 years of experience in treating patients and is recognised as an international leader in the diagnosis and treatment of musculoskeletal disorders with a neural aspect. Neurodynamic Solutions is very pleased to announce that we have an instructor for Latin America, based in Argentina. He has many academic and clinical interests which are a great asset to NDS. Javier graduated in Kinesiology and Physiatry from the University of Buenos Aires (UBA) in 2000. In 2002 he moved to Spain were he obtained recognition as a physiotherapist from the Ministry of Education Culture and Sport. He has attended numerous courses in manual therapy and neurorehabilitation in Spain and South America. Now back in Buenos Aires, he is Professor of Research Methodology at the University of Business and Social Sciences (UCES) and Assistant Professor in Anatomy at the University of Buenos Aires. He obtained his diploma in higher education in health sciences in UCES and he is currently pursuing a master's degree in University Teaching at the University of Buenos Aires. He is Visiting Professor at the Universidad Autónoma del Sur, Arequipa Peru. Since 2008 he has given numerous courses and lectures in Manual Therapy, taping and biomechanics in many countries across Latin America. He is an official intsructor for Vasyli Medical and the KTaping Academy for Latin America. Pain science has long been his special interest and Javier has given numerous presentations and lectures on the subject at national and international pain congresses. He is a member of the International Association for the Study of Pain and, since 2013, he has been a member of the executive board of the Argentine chapter of IASP (AAED), where he is currently the General Secretary. Dan has a long history in physiotherapy and manual therapy, having completed many post-graduate courses, having also taught extensively in the area of manual therapy. Dan graduated in physiotherapy in 1979 from UNISUAM, Brazil, then completed his postgraduate diploma in Osteopathy from the Instituto Brasileiro de Osteopatia in 2007. He obtained a post-graduate diploma in neurophysiology from the Instituto Brasileiro de Medicina de Reabilitação i 1995 and started attended Michael Shacklock’s neurodynamics courses in Denver, USA in 2003. He has developed a keen interest in this subject and now teaches clinical neurodynamics with NDS in Brazil. He has also attended courses in movement concepts such as Bobath, PNF and courses on other manual therapy systems, such as Maitland and Mullligan. In addition to being an NDS instructor, Dan has been an accredited Mulligan instructor since 2004. He has contributed to Leon Chaitow’s Positional Release Technique book, 3rd edition, 2007. Dan is currently a director of Physiotherapy at Samaritano Hospital (Rio de Janeiro, Brazil) and the director of Physioscience, a private practice in Rio. Dan co-translated Michael Shacklock’s book Clinical Neurodynamics into Portuguese for Elsevier, 2007. Marcelo has extensive experience in teaching manual therapy in Brazil and neighbouring South American countries. He graduated in physiotherapy 1997 from the Instituto Brasileiro de Medicina de Reabilitação. He then completed a post-graduate Diploma in Musculoskeletal Osteopathy at the Instituto Brasileiro de Osteopatia, Unigranrio in 2004. After attending Michael Shacklock’s neurodynamics courses in Denver, USA in 2003, he has developed a keen interest in this subject and now teaches with NDS throughout Brazil. Marcelo is also an accredited teacher of the Mulligan concept and he teaches this subject throughout Brazil and neighbouring countries. He has contributed to Leon Chaitow’s Positional Release Technique book, 3rd edition, 2007 and has also attended courses in movement concepts such as Bobath, PNF and courses on other manual therapy systems, such as Maitland and Mullligan. Marcelo is currently a director of Physiotherapy at Samaritano Hospital (Rio de Janeiro, Brazil) and the director of Physioscience, a private practice in Rio. Marcelo translated Michael Shacklock’s book Clinical Neurodynamics into Portuguese for Elsevier, 2007. Alfio graduated in 1991 at the School of Physiotherapy in Basel Switzerland. In 1995 he did his Post Graduate Diploma in Manual Therapy in Perth WA, at the Curtin University of Technology. Since 1996 he has been a clinician in his own clinic in Bellinzona, Ticino, Switzerland, and he teaches manual therapy at the School of Physiotherapy, USI, Università della Svizzera Italiana. Since 1997, after being assistant for three years in Zurzach, Centre of Post Graduate Courses in Switzerland for the Maitland Concept, he officially became an instructor for Jenny McConnell's institute. He now teaches the McConnell concept in different countries around the world, including South America, South Africa, Middle East and Europe in four different languages. Since 1999, he has been an instructor at the Swiss Association of Soccer (SFV) as a recognized expert in physiotherapy of sport medicine. Since 2006, Alfio became an assistant teacher to Michael Shacklock in NDS, Neurodynamic Solutions International, and now is a senior instructor, teaching many NDS scourses around the world. Alfio has been a member of Research and Development (Clinical Excellence Circle), Otto Bock Health Care since 2006. In 2005 and in 2009 he was the chairman of the scientific committee and convenor of the first and second world Manual Therapy Congresses, "The Spine" held in Rome, Italy. He has been invited speaker to numerous international congresses, workshops and seminars around the world. Since 2007, Alfio has worked with Kim Robinson and Toby Hall (part time senior teaching fellows at Curtin University) in the certified by Manual Concepts programme in Perth, Australia. Since 2009, Alfio has been a consultant in Doha, Qatar, at Aspetar Hospital and Aspire, Sports Academy. Alfio has also trained medical and physiotherapy staff at elite sports clubs around the world, including groups such as Real Madrid Football Club. In October 2009, he completed his book entitled Using Whole Body Vibration in Physical Therapy and Sport, Elsevier. Carlo graduated from Fresno State University in 1997 and 1999 with a Bachelor's and a Masters degree in Physical Therapy. In 2011, he graduated from the University of South Australia with a Masters in Musculoskeletal and Sports Physiotherapy. Part of his training was spent with the Australian Football League's Adelaide Crows and Port Adelaide Power Sports Medicine staff. He was also a sports physiotherapist for the Gaza Eagles Australian Rules Football Club. In 2014, he completed his Ph.D. in Anatomy from the Pathology Department in the School of Medicine at Loma Linda University with his dissertation focusing on the neurogenic aspects of rheumatoid arthritis. At that time, he was asked to speak internationally at the First World Congress of Orthopaedics on Best Practice in Sports Medicine and Clinical Practice. Carlo is currently part of the United States Olympic Team’s Sports Medicine Program, a physical therapist for Neuro Tour and Napa Regional Dance Company as well as a manuscript reviewer for the Journal of Orthopaedic and Sports Physical Therapy. In 2016 he was asked to return to the World Congress of Orthopaedics to discuss Best Practice in Sports Medicine. Dr. Wood has taught in doctoral physical therapy and sports medicine programs as an assistant professor, adjunct faculty and clinical instructor. He continues to consult with doctoral physical therapy programs around the nation for their accreditation and owns his own practice in Napa, California called Sports and Orthopaedic Physiotherapy (www.sportsandorthophysio.net). Russ received a Bachelor of Science degree in Physical Therapy from Northwestern University. He completed his Masters of Science degree with emphasis on study in neuroscience and pain mechanisms. He also received an honorary Doctorate Degree from the International Multidisciplinary Scientific Society established in 1962 in Alma Ata for the first original research from the United States in the use of low intensity laser for pain management. He was formerly Director of the Pain Clinic at St. Anthony's Hospital Medical Center in Rockford, Illinois. He was a faculty member at Northwestern University Medical School, Programs in Physical Therapy in Chicago where he taught in both the entry-level and graduate programs of the Orthopedic Physical Therapy Tract. He also served as a civilian consultant to the United States Air Force on pain management and musculoskeletal evaluation and treatment. 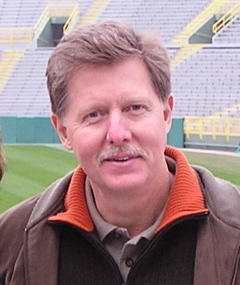 He is on faculty at Rocky Mountain University in Provo, Utah in the Orthopedic/Sports Medicine Tract. He is also lecturer on Pain Mechanisms at Georgia State University, Division of Physical Therapy located in Atlanta, Georgia. He is a member of the International Association for the Study of Pain (IASP). Mr Foley's continuing clinical focus is on integrating the recent advances in the pain sciences into effective physical therapy assessment and management strategies. His particular interest is on the autonomic nervous system and neurobiological research, which has shed new light on pain mechanisms. He has lectured extensively though out the United States on the subjects of pain management, TENS, CRPS (RSD), neural mobilization and musculoskeletal evaluation and treatment. Presently, he is director of the Georgia Rehabilitation Center, Inc. in Newnan, Georgia. For many years Russell has taught extensively throughout the USA and we are very keen to put to good effect his wonderful talents as both a therapist and presenter. He is a board certified orthopaedic clinical specialist, Fellow of the American Academy of Orthopaedic Manual Physical Therapists and Adjunct Clinical Assistant Professor on the Mercer University Physical Therapy Program. Brian received a Bachelor of Arts in urban studies and planning at the University of California, San Diego, in 1996 and followed this up with a Masters in Physical Therapy at Northwestern University in Chicago in 1999. In 2003 he then completed another Masters, this time in Physiotherapy specializing in manual therapy and motor control at the University of Queensland, Australia. Since then he has had a keen interest in manual therapy and motor control and is currently director and owner of the private physical therapy practice Motion Stability in Atlanta, Georgia. Brian has attended and presented numerous professional development courses and has been teaching core stability and motor control (including the use of ultrasound imaging) at both Emory and Georgia State Universities. He has trained with Michael Shacklock in Clinical Neurodynamics and currently teaches clinical neurodynamics with Neurodynamic Solutions. Elena graduated as a physical therapist in 2004 from the Universidad de Zaragoza and culture and social anthropology in 2008 from the Universidad Nacional de Educación a Distancia. She completed a Master of Orthopaedic Manual Therapy (Kaltenborn-Evjenth concept) and has studied Social Gerontology at the Universidad de Zaragoza. She recently completed a PhD at the sUniversity of Zaragoza with a study on neurodynamic tests and neurodynamic sequencing. She has been a clinical physical therapist since 2004 in orthopaedics and sports physical therapy. She has held the position of Adjunct Professor at the Universidad de Zaragoza since 2007 and has a member of the Physical Therapy Research Unit at this university since 2006. She has been an instructor on the IFOMPT recognized Master of Orthopaedic Manual Therapy course at the Universidad de Zaragosa since 2006. Elena has been a translator and reviewer of several books, including Skeletal Muscle Structure, Function and Plasticity: Physiological Basis for Physical Therapy, Musculoskeletal System Basic Biomechanics, Translatory Spinal Manipulation, Kurt Ekman’s Diacutaneous Fibrolysis and Manual Physical Therapy: Manual mobilization of the Joints. Volume II, Spine. Elena has taught Clinical Neurodynamics with Neurodynamic Solutions since 2008 and has translated and taught NDS courses in many parts of the world including Buenos Aires (Argentina) and Santiago (Chile), Athens (Greece), Concepción (Chile), Gent (Belgium) and Cali (Colombia). She was a lead translator of Biomechanics of the Nervous System: Breig revisited into Spanish in addition to other nationally published papers and teaching material related to Clinical Neurodynamics. She presents at national and international congresses and was a member of the organizing committee of the first OMT-Spain Congress and of the Teachers Meeting held in Zaragoza on 2011. presents at national and international congresses. Kiran graduated as a physiotherapist from the Manipal College of Allied Health Sciences, Manipal, India. He then travelled to Adelaide, South Australia and completed a Master of Applied Science in Orthopaedics, Sports & Manual Physiotherapy at the University of South Australia, Adelaide, Australia, graduating in 2005. He then worked in Michael Shacklock's clinic before returning to India to settle. He has been a physiotherapist for various sports teams and is currently the chief physiotherapist for the Indian National Badminton team with which he attended the 2012 Olympics games, 2010 Commonwealth games and the Asian games in 2010. 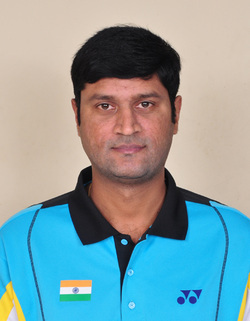 He has been the physiotherapist for the Deccan Chargers cricket team in the Indian Professional League, Hyderabad Hotshots badminton team and the Christian Brothers College Old Collegians Australian Rules Football Club in Adelaide. Kiran is a certified yoga instructor and has a special interest in sports physiotherapy and manual therapy. He is a certified NDS instructor, has been teaching with Neurodynamics Solutions in India and other parts of Asia since 2007 and continues to present at universities and seminar hosts in the region. 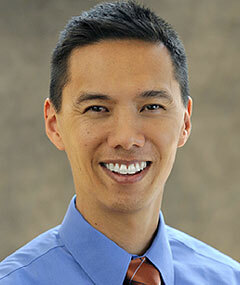 He is the Director and course instructor for Maitland’s Foundation for Sports and Manual Therapy (MFSMT). Marinko was born in Ljubljana (Slovenia) in 1982, Marinko Rade lived in Rovinj (Croatia) until the completion of High School. He studied in Padova (Italy) and London (UK), receiving a Master of Science in Orthopaedic Medicine. He is currently a doctoral candidate at the Graduate School of Clinical Research at University of Eastern Finland and is employed as a clinical researcher for the department of Physical and Rehabilitation Medicine in Kuopio University Hospital, Finland. His special research interest is the quantification and understanding of neural adaptation mechanisms with the final aim of constructing new effective diagnostic algorithms. He is leading several lines of research both in electrophysiology and neuroradiology. Marinko is a voting member of the International Academy for Musculoskeletal Medicine and scientific branch of the International Federation for Manual Musculoskeletal Medicine. He was awarded the 2013 Young Scientist of the Year by the Finnish Spine Society. Marinko has published research articles in journals such as the Journal of Electromyography and Kinesiology and Spine. 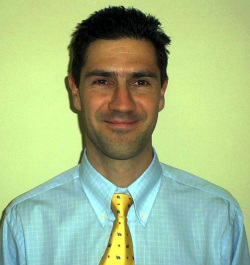 Marinko has also been a lead instructor with NDS Neurodynamic Solutions since 2010. He is now leading the Orthopaedic and Rehabilitation Hospital Prim.dr.Martin Horvat in Rovinj, Croatia. We are very pleased to welcome Marcelle Pienaar to Neurodynamics Solutions as an instructor for South Africa and neighbouring countries. Marcelle has considerable experience as a clinical musculoskeletal physiotherapist and post-graduate teacher. She received her Bachelor of Science in Physiotherapy from the University of Stellenbosch 1976 and her Master of Science in Orthopaedic Manual Physical Therapy (clinical) from the University of Stellenbosch 2010. During her career, she has always worked in orthopaedic environments in hospitals and private practice, with a special interest in sport, manual therapy and rehabilitation. She currently manages and works in her own private practice in the Constantiaberg Mediclinic, in close collaboration with orthopaedic surgeons. Marcelle lectures in various topics such as the lumbar and thoracic spines, hip and knee joints on the Orthopaedic Manipulative Therapy Course, Master’s Degree course at the University of Stellenbosch and teaches various private courses in South Africa. She has trained directly with Michael Shacklock in Clinical Neurodynamics is now a valuable member of the NDS team, starting with teaching the first courses for her region in South Africa (Cape Town) and Namibia (Windhoek) in 2015 (see course schedule). She is a member of the Orthopaedic Manipulative Physiotherapy group (OMPTG), a Special Interest Group of the South African Society of Physiotherapy, an affiliate of the International Federation of Manipulative Physiotherapists (IFOMPT). Having been affiliated with the Group Executive Committee (GEC) of the OMPTG (Orthopaedic Manipulative Physiotherapy Group) 2008 – 2013, she is actively involved in fostering professional development in South Africa. The responsibility is for the co-ordination, continuing promotion and growth of professional education and standards in South Africa. Marcelle’s special interest is in musculoskeletal dysfunction and rehabilitation for function, and has attended numerous courses and international conferences on such topics.